He has been diagnosed with Spinal muscular atrophy. Thanks to his parents he developed high degree of awareness that better education offers better chances for people with neuromuscular disorders (NMD) to become creative and independent individuals who participate in the society, regardless a progressive disease. In 2003 he graduated at the Faculty of Computer and Information Science (University of Ljubljana), and in 2012 he received Master’s degree at the Faculty of Logistics (University of Maribor). After he graduated, he spent half a year working in San Diego, USA. Arrival back to Slovenia offered him opportunities for professional development and cooperation with domestic and international corporates. He has working experiences in private and public sector. He was also a member of the Electronic Communications Council of the Agency for Communication Networks and Services of the Republic of Slovenia. Currently, he is engaged as IT engineer in Muscular dystrophy Association (MDA) of Slovenia and in two companies for employing disabled people called Birografika BORI and Dom dva topola. Both companies have been founded and are owned by MDA of Slovenia. He is a member of the executive committee of MDA of Slovenia, a member of the supervisory board of Birografika BORI and a board member of Dom dva topola. In addition to control and management functions, his primary professional occupation in mentioned entities is ensuring the stability and security of various information systems and the development of dedicated applications. 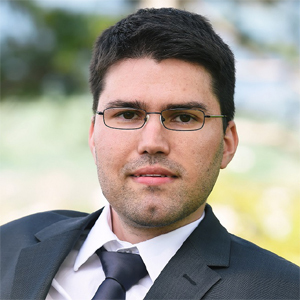 Since 2008, during the presidency of Mr. Boris Šuštaršič, he has been engaged as an EAMDA coordinator, and along with Boris and colleagues of EAMDA executive committee they built a strong and connecting environment of partner organizations and societies of people with NMD in Europe and the rest of the world. He is active in various areas for the implementation and establishment of NMD etiological treatment in different European countries. In his private life he tries to disconnect from the digital world and to dedicate moments to travel and recognize the beauty of various cultures with emphasis on nature in Slovenia and abroad. He is proud of two nephews Matic and Rok, and of the godchild Val and his brothers, who all successfully defies teenage years and grow to the perspective generation of modern technology views. 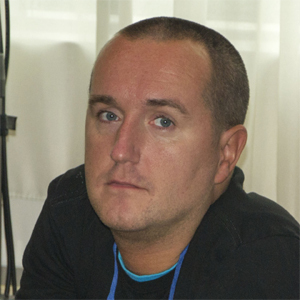 Tomislav Goll, computer programmer, graphic designer, journalist and musical editor, is EAMDA Secretary General (European Muscular Dystrophy Association), SDDH Vice president and member of the board (National Neuromuscular Association). 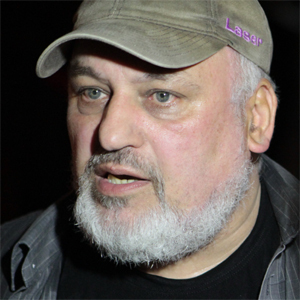 He is also Vice president and member of the board of local Association for Neuromuscular disorder, Vice president of City Committee for persons with disability in Slavonski Brod, President of local Theatre – Slavonski Brod, Director and musical editor of Radio92FM community radio in Slavonski Brod, Croatia. With more than 35 years of experience in local community and civil society, Tomislav Goll is not only a member, he is a founder of several associations. In his work he was awarded several times: Winner of prestige Shaklee Award 2004. Highest USA Award for work with children with disabilities, Winner of County award 2006. As person of the year for all humanitarian work in civil society, special care for persons with disability and promotion of credit and fame of Brodsko posavska County in country and international, Winner of third prize WHO (World Heath Organization) photo contents in 2004. Digital photography of Down-syndrome boy – Faster then You, His designee of Poster “Bicycles” win international award in Campaign against women violation in 2001, and for web designee – Winner of prime Minister WEB 2005 award for web portal of Croatian National Neuromuscular Association – highest web award in Croatia. As person with disability with neuromuscular disorder his work was always development of civil society organizations, establishing partnerships among different sectors and promoting public participation in decision making. For example his work on the borders between young disabled people, youth trainers, youth policy and researchers, and continued work on training programs for associations. He served as member of EU-Croatia Joint Consultative Committee from beginning, in period 2006-2011. Tomislav Goll prepared report on following topic: Reform of the Croatian pension system – Focus on disabled person’s pensions. Over the last 10 years he has been intensively involved in European integration, fluent in English and writing English. Ivanka Jovanovic is Vice-President of EAMDA. 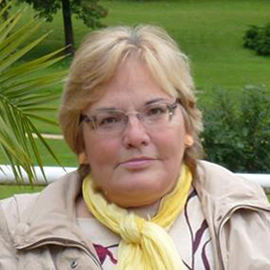 She is very active in the Serbian and in the international disability movement. 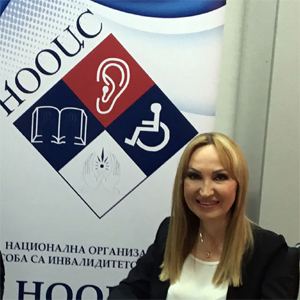 In Serbian disability movement her key roll is the Executive Director position of National organization of Persons with Disabilities of Serbia (NOOIS) and a Research assistant position in the Muscular Dystrophy Association of Serbia. She is a member in Serbian JCC (EU-Serbia Civil Society Joint Consultative Committee) for the social economic development field, representative of NOOIS in EDF-u (European Disability forum), representative of NOOIS in DPI (Disability People International) and member of the Council for disability issues of the Government of the Republic of Serbia. She has university level degree – Faculty for political science, University of Belgrade, Diploma – Graduated journalist. She is certified trainer for NGO menagement, with vast experience in other different fields like: disability policy and situation human rights advocacy for people with disabilities, facilitating of the conferences, business meetings etc, needs assessments at organizations level and capacity building, monitoring and evaluation of the projects and work of organizations, providing consultancy services. Ivanka Jovanovic is author or co-author of many manuals and research articles. She is the first contact for cooperation between EAMDA and EFNA. Dona Jandová has a degree in English and Czech language from the Charles University in Prague. She is married and has one adult son. Since 2003 she has been working for the Czech Muscular Dystrophy Association as the chief editor of theirs magazine and as a coordinator. In 2011 she was elected as a member of Executive Committee of EAMDA and from 2013 she is also one of its vice presidents. 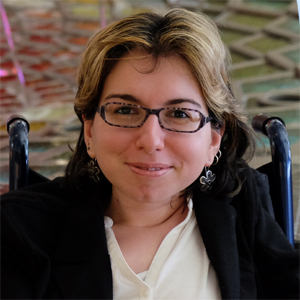 She has a vast experience in the field of nonprofit and patient organizations, where she strives for implementation of multidisciplinary care for persons with neuromuscular diseases in practice. She has established contacts with different international organizations and participated at international conferences and workshops. She has translated a lot of documents and informational materials about neuromuscular diseases into Czech. She represent EAMDA at EURORDIS which is a unique, non-profit alliance of over 700 rare disease patient organizations from more than 60 countries that work together to improve the lives of the 30 million people living with a rare disease in Europe. By participating at its conferences, workshops and general assembly she would like to empower neuromuscular disorders patient groups and raise public rare disease awareness on international level. In her private life she enjoys travelling, reading and staying together with her family. She would like to promote the patients centered care and raise the awareness of the specific needs of persons with neuromuscular disorders on all levels. Michal Rataj graduated from the Faculty of Computer Science of the University of Silesia, profession IT specialist. As a patient he is actively involved in patient organizations for over 20 years. He is Board Member of the Polish Neuromuscular Diseases Association (PTCHNM) and European Patients Forum (EPF), and Patients and Consumers Working Party (PCWP) in European Medicines Agency (EMA). 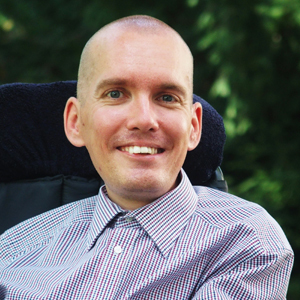 He is co-organizer of many national conferences for patients with muscular dystrophy. In private life he is enthusiast of new technology and modern devices facilitating mobility. From 2014 he is involved in EFP in working group on access (WGA). During two years with WGA he prepared a draft ‘Universal Health Coverage For All’, the campaign which is an opportunity to raise awareness about the barriers patients face in accessing healthcare, and to build on current political momentum – including the UN Sustainable Development Goals for health – to foster more EU cooperation on access to healthcare. He is also a member of task force on patient safety where the main role is dedicated to – patient and family empowerment and patient safety. Being an active member of EPF as a EAMDA representative is very crucial and it is also a big honor, thank to this fact our voice is stronger and also helps raising awareness about the problems of patients with Muscular dystrophy across the Europe. Sharing experiences and cooperation with another group of patients with chronic and rare diseases is a good chance to learn from each other. He is the first contact for cooperation between EAMDA and EPF. Together we are stronger, so only when working together we can achieve more for the community. Luka Zaharija is a Professor of Information technology and History, IT expert and graduated Master of Business administration (MBA) on Cotrugli business school. Working in the Clinical Hospital Center Rijeka as a major IT advisor in software support. Activist for rights of people with disability and participant in creating a better living standard for people with disabilities as the president of regional association of people with neuromuscular disorders. Member of executive committee of Croatian muscular dystrophy association – SDDH and former president of Croatian muscular dystrophy association – SDDH Youth forum, president of EAMDA Youth from 2010, EAMDA Executive comity member from 2013. He is a representative of people with disability in the Primorsko-goranska regional advisor council, the government representative of people with disability in the regional counseling board and president of the local school comity. An active politician- president of local political party and president of the local county council. He was born in 16. November in 1985. and diagnosed the muscular dystrophy in age of 4. Regular student in hometown elementary school, secondary school of economy In Rijeka finished as the student of the generation. College time (2004-2012) brought more interests and responsibilities- involvement in the activities of the local community and politics. Everybody needs to find his place in this world within his ability’s and not creed for something out of reach or unreal to accomplish. Jana Popova is PhD student and freelance journalist. In 2014, she graduated from the Faculty of Journalism and Mass Communication at the University of Sofia – “St. Kliment Ohridski”. Since 2011 she has been working as freelance journalist for different online media in Bulgaria. In 2016, she started her PhD program at Sofia University in the field of mass communication and book publishing. She is author on different articles about social policies, health system, education and different aspects of the daily life of people with neuromuscular disorders. Her personal interests are in the field of media development and digital communications. As a person with neuromuscular disorder, she is active member of the Bulgarian Association for Neuromuscular Diseases. She is involved in different activities, organized by the Bulgarian Association for Neuromuscular Diseases. She supports all Bulgarian patients’ organizations for neuromuscular disorders. In October 2017, she became member of the EAMDA Executive Committee. She believes that her position as EAMDA EC member is great honor and incredible opportunity to develop the cooperation between different European patients’ organizations for neuromuscular disorders. At the beginning of 2018 she became a member of the EPF Youth Group. Jana believes that her position as a member of the EPF Youth Group is big honor and it will help to increase the awareness about Neuromuscular Disorders in the society. She thinks that this is great opportunity to enhance the cooperation between different European organizations and to pay more attention on the problems of people with NMD. Jana believes that people with neuromuscular disorders should raise their voices and they should stay united if they want to improve their quality of life. Sharing experiences and cooperation is essential part for our work and only if we stand together, we can achieve better results and we can become stronger members of the society.